Undeniably Moira dela Torre has a tearjerker voice as most of the people described her. 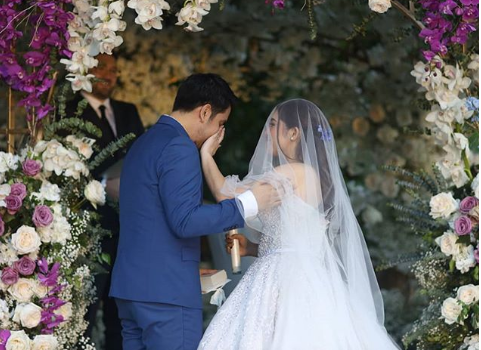 The singer once again made a remarkable ending for her wedding vow as she offer a song that she composed for her husband. Cornerstone Entertainment has uploaded the touching moment video on their Facebook account, showing Dela Torre singing her original composition with Marvin, leaving Marvin to get emotional while listening. Even the people around them can't helped but dropped a tears while dela Torre at one point struggled as she emotionally finishes her song with all in sharing napkins.